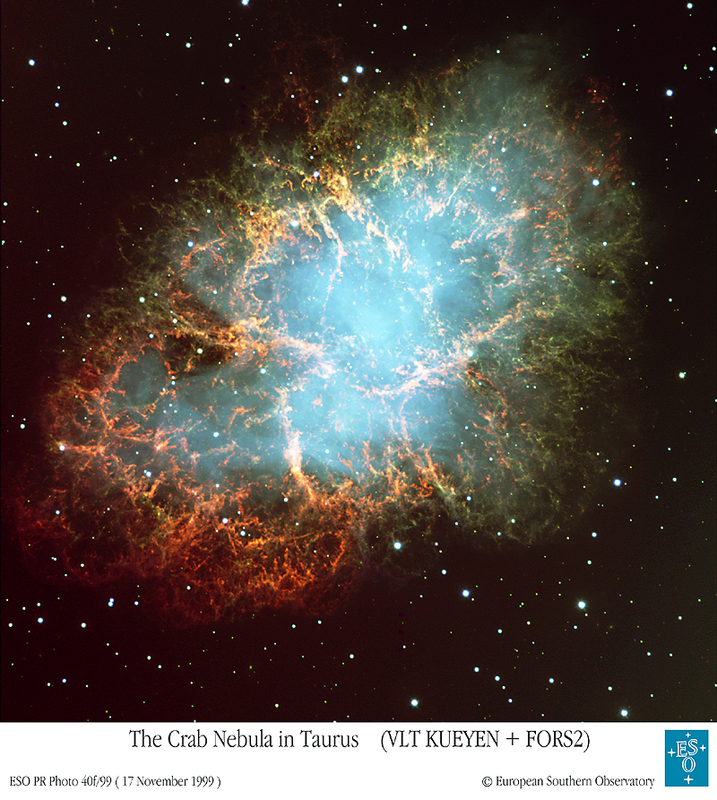 Explanation: The Crab Nebula, filled with mysterious filaments, is the result of a star that was seen to explode in 1054 AD. This spectacular supernova explosion was recorded by Chinese and (quite probably) Anasazi Indian astronomers. The filaments are mysterious because they appear to have less mass than expelled in the original supernova and higher speed than expected from a free explosion. 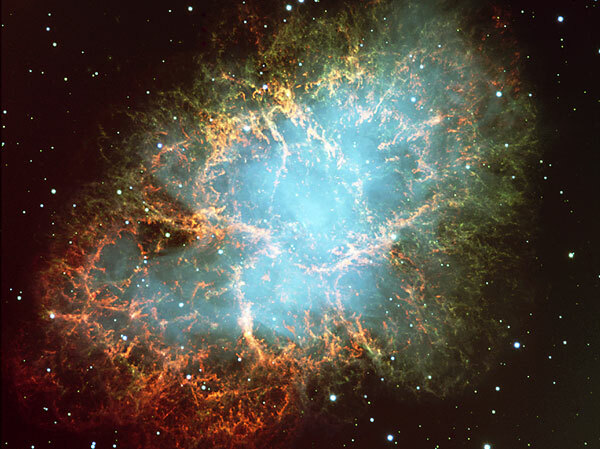 In the above picture taken recently from a Very Large Telescope, the color indicates what is happening to the electrons in differentparts of the Crab Nebula. Red indicates the electrons are recombining with protons to form neutral hydrogen, while blue indicates the electrons are whirling around the magnetic field of the inner nebula. In the nebula's very center lies a pulsar: a neutron star rotating, in this case, 30 times a second.